Sight is one of our most important senses as it enables us to read, learn, work and enjoy life. When this sense is hindered it can mean major life challenges, making it more difficult to navigate through life. That is why we’re proud to announce our support for Vision For Life™’s Buy One, Give One programme. For every order placed we’ll donate $1* to the non-profit organisation. As part of the Essilor Group, our mission has always been improving lives by improving sight. Our partnership with Vision For Life™ enables us to fulfil this on a global scale. *Vision For Life™ will match this $1 to fund the cost of a pair of glasses that will then be donated to someone in need. In order for a contribution to be made, customers must select the region they wish to donate to. 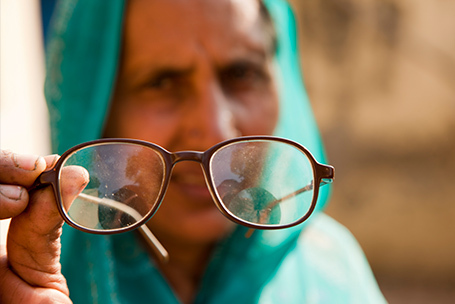 Though considered a basic human right, 2.5 billion people do not have good vision or access to good vision services. 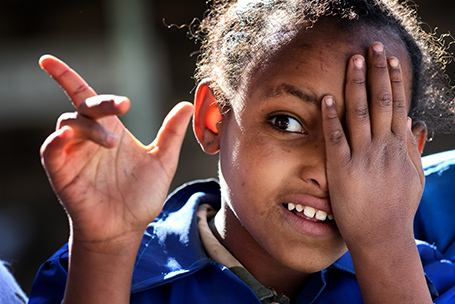 That’s why through partnership with Vision For Life™ we’re able to provide sight to millions. For every order placed, we will donate $1 to Vision For Life™. 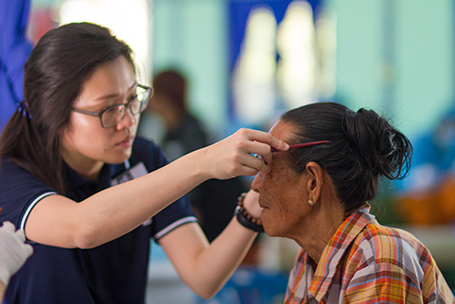 Essilor Group and Vision For Life™ have provided a means for millions of people to have access to vision care services. They have invested in charitable projects that help the most under-served areas of the world. 2017 alone has seen more than 1.5 million people screened and over 400,000 pairs of glasses given to people in need. Despite this great accomplishment, there’s still more to be done. By purchasing a pair of glasses from us, you’re already doing your part to help transform the lives of millions in need around the world. Thank you for helping them see a brighter future. Learn more about our programme and Vision For Life™’s activities.